Excitement filled the room as families entered St. Vincent de Paul’s family dining room yesterday. They noticed 10 large, white, unfamiliar boxes sitting in a row behind the tables. 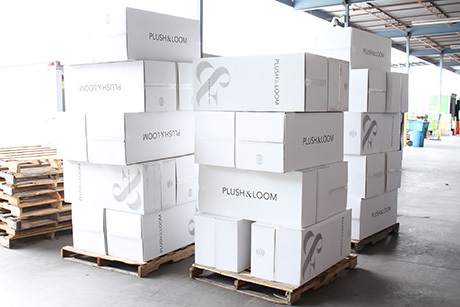 The text on the boxes read: Plush & Loom. 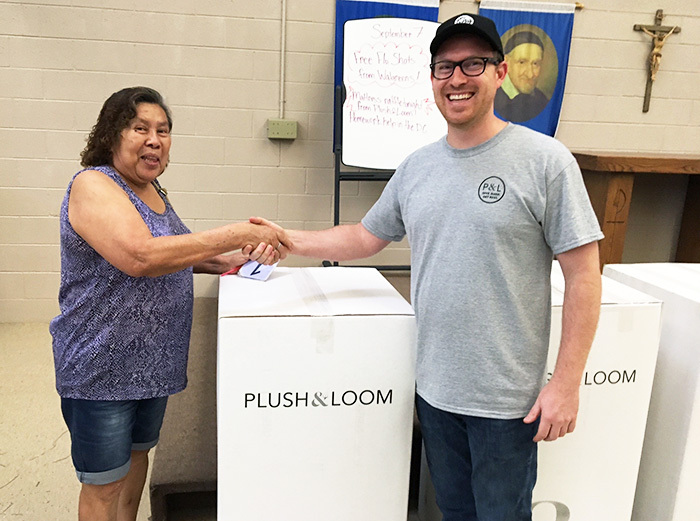 Plush & Loom, a new Phoenix-based online mattress company, celebrated its launch yesterday by donating 100 mattresses to St. Vincent de Paul. But this donation is just one of many to come. The local business has implemented a “Give Sleep, Get Rest” partnership program with SVdP, which donates a mattress for every one sold. During the celebration and first delivery, Plush & Loom earmarked 50 of the new mattresses to outfit SVdP’s temporary shelter, Ozanam Manor. This shelter provides housing for homeless men and women age 50 and above, along with physically or mentally disabled adults age 18 and above. According to Caleb, the company was founded on two important ideas. The first was to build a high-quality, portable mattress at an affordable price. The second was to donate a mattress for every one sold. Each mattress is assembled in the US and they are made to support local communities – especially those in the community who are in need of basic necessities, like a comfortable, safe place to sleep. That’s when the idea of partnering with St. Vincent de Paul was hatched. 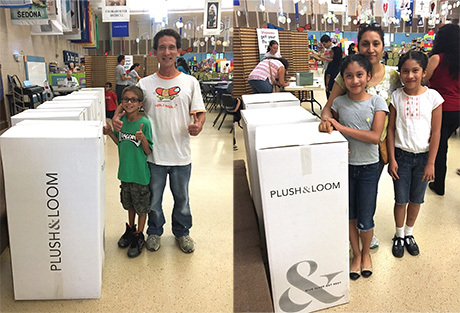 “After we [Plush & Loom partners] learned about the different programs at St. Vincent de Paul and how they help so many in the community, we realized this non-profit would be the best partner we could find,” says Caleb. As many families learned halfway through dinner, the large white boxes at the front of the room contained mattresses, mattresses that would be raffled to ten lucky recipients! Each family that was called to the front to claim their mattress was thrilled. One mother shared that her oldest son had been sleeping on the floor. Because of recent bills and monthly expenses, they weren’t able to afford a new mattress. 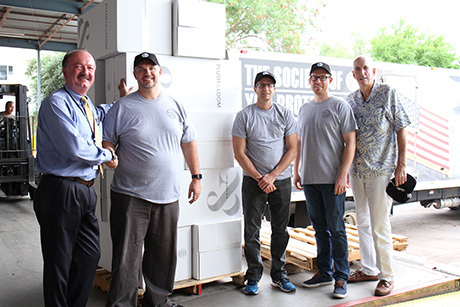 We are incredibly grateful for this new partnership and we look forward to seeing the many families and individuals in the community who will benefit from the mattress donations! You can visit Plush & Loom's website to learn more about their donation program.